Our new Tommy Bahama items from PetSmart arrived in an enormous box. Our dogs sensed what was inside an immediately got very excited. I had to hurry and snap pics before the frenzy of play occurred. The huge bed is so soft and comfy that I was tempted to put it our human bed! 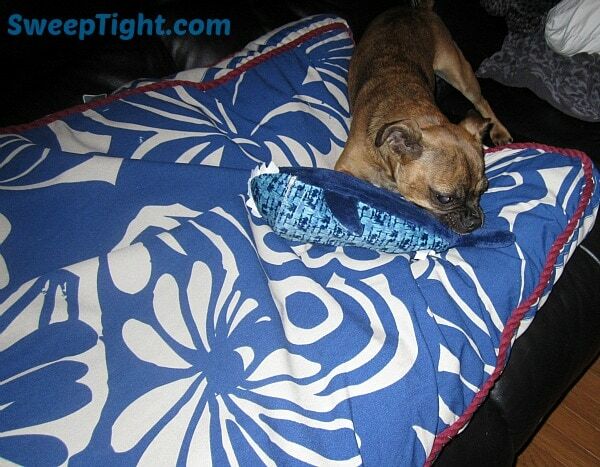 Both dogs love it and take turns laying on it all hours of the day. No one has even tried to eat it… and that says a lot. 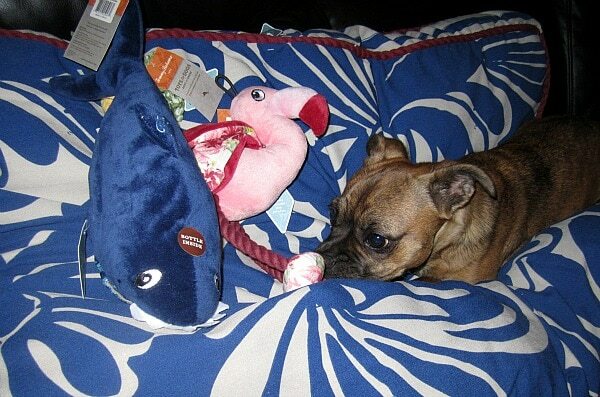 Of course, The Grump, our Boston terrier and pug mix, was the first to investigate all the new toys. Hilo, our white German shepherd, likes to play, too, but he is so much more chill and just hangs back and waits for the toys to come to him. Above you can see Grump starting to creep in. I kept telling him to wait so I could get a picture with all the toys, but he slowly crept onto the bed. LOL He just couldn’t help himself and I don’t blame him! Usually the dogs will each have a favorite toy of the bunch right away. For Grump, it was the Shark. It’s a water bottle cruncher, meaning there is an empty bottle inside that makes crunching noises when he chews it. After that, he proceeded to give each toy attention and now loves them all equally. He nurses on that flamingo and cuddles up to it when he sleeps. 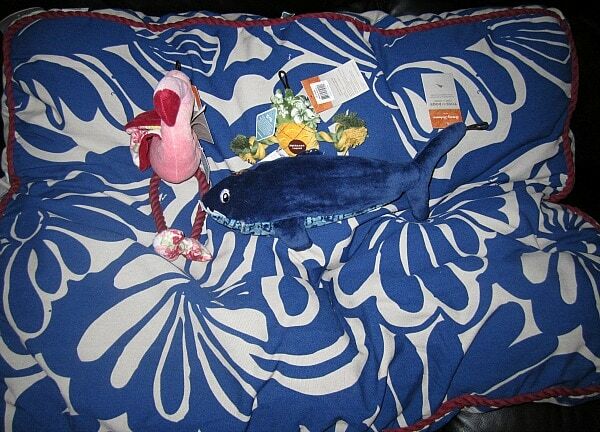 As always, we love our PetSmart toys and this exclusive Tommy Bahama collection is definitely a great addition! Make sure to stop by your local PetSmart or shop online to treat your pets to some new goodies. I would like the Log Cabin Dog House Floor Mat!